Flash Flipping free PDF to word, easy-to-use and completely free software, is designed to convert PDF files to word promptly. It's powerful because batch convert mode, hot directories mode and command line mode are optional. Flash Flipping free PDF to word, easy-to-use and completely free software, is designed to convert PDF files to word promptly. It's powerful because batch convert mode, hot directories mode and command line mode are optional. And it provides a user friendly interface so that you can finish your conversion rapidly, only by a few simple clicks of buttons. XPS to Flash Flipping Book is a newly smart utility which let you enjoy Interactive page-turning publications instead of reading plain XPS files. 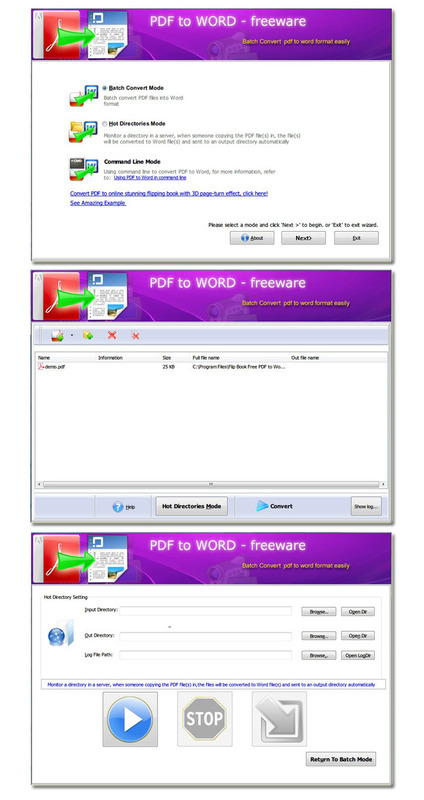 Flash flipping free Word to PDF is a totally freeware software to get PDF files from WORD files quickly. It provides an easy-to-use and user friendly interface. Free Flash Flipping Book Maker, a completely free program, which is designed to let you enjoy page turning e-books from your static text files. We get Flash Flipping Book Printer which helps to convert PDF to flipping book, that looks and feels like a real book. Free OpenOffice to Page Flipping Book Book gives you and your readers a different feeling of reading e-books, feel the realistic page flipping book without going out, it's Free OpenOffice to Page Flipping Book Book! Free Open Office to flash flipping book is a totally free program for you. All you take is import your any Open Office (all pages or one certain page). PageFlip Free Word to PDF, enables you to turn your Microsoft office word into Adobe PDF without anybody help. 100% free software. This site does not contain serial number, crack, keygen Flash Flipping Free PDF to Word serial number : serial number is the simplest type of crack. A serial number(cdkey,product key,etc) is register the program as you may already know. a crack or keygen may contain harmful software. If you cannot find the exact version you want, just give it a try. for more information read .nfo/.txt/.diz file include in zipped file.